Thirty years of above-average temperatures mean we're entering a new era of global warming. 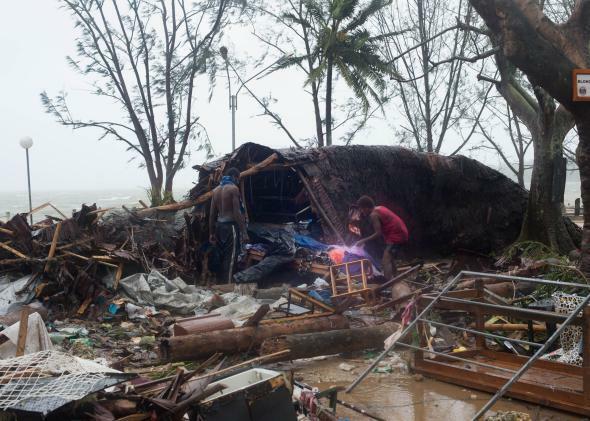 Storm damage in Port Vila, Vanuatu. On Wednesday, the National Oceanic and Atmospheric Administration announced that Earth’s global temperature for February was among the hottest ever measured. So far, 2015 is tracking above record-warm 2014—which, when combined with the newly resurgent El Niño, means we’re on pace for another hottest year in history.